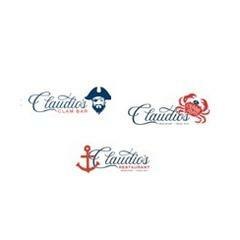 The successful candidate will execute and oversee bar programs for Claudio’s Restaurants, these include Crabby Jerry’s, Claudio’s Clam Bar & Wharf and Claudio’s Restaurant. The Beverage Manager will work with senior management to improve and implement established beverage programs, systems and SOP’s. They will participate in opening planning, set-up and the launch of the beverage programs for each venue. The candidate will work with culinary teams to ensure cocktail programs work with menu offerings and suppliers/vendors to ensure product and sponsorship support through discounts, co-marketing initiatives and other cost control and pricing efforts. Additionally, they must also oversee staff hiring, training, quality & consistency, associated menus and operations in the facilities daily and execution of special events. A Culinary or Hospitality Degree is preferred and minimum 5-7 years’ experience in Management of equivalent restaurant and bar.<br><br>Education or Certification:<br>•	High School Diploma or equivalent suggested.<br>•	Culinary School and / or Hospitality Management Degree preferred (AOS or Bachelor’s Degree).<br>•	Certifications as required to comply with local and state health codes, i.e., food safety and alcohol awareness.<br>•	Minimum 5 - 7 years combined experience in independent restaurants and bars, or equivalent, for a broad and rounded experience base.<br><br>Skills and Knowledge :<br>•	Strong knowledge of bar operational procedures.<br>•	Strong ability to review and understand the competition, beverage trends and customer expectation.<br>•	Strong knowledge of food & beverage handling and sanitation standards.<br>•	Strong knowledge of beverage & labor control procedures.<br>•	Ability to effectively manage weekly bar scheduling and payroll. <br>•	Knowledge of purchasing, inventory controls, supplies, and equipment.<br>•	Strong knowledge of bar equipment and routine maintenance needs.<br>•	Strong organization and communication skills (verbal, listening, writing).<br>•	Ability to acquire and maintain relationships with employees, guests, vendors and senior management.<br>•	Ability to work well in stressful and high-pressure situations.<br>•	Ability to execute established beverage program strategy to drive results.<br>•	Ability to interact with standard software applications including excel, point of sale and cost systems.<br>•	Ability to structure and execute monthly inventory (weekly as needed).<br>•	Ability to manage progressive disciplinary actions (PDA) with employees as well as handle termination processes.<br>•	Ability to handle employee administrative tasks.<br>•	Strong understanding of spirit & cocktail knowledge, menu creation, and recipe standards.<br>•	Basic understanding of wine programs, pairing, and service standards.<br>•	Strong negotiation and conflict management skills.<br>•	Effective influence, decision & problem solving skills. Claudio's Restaurants is posting their hospitality jobs on Harri.